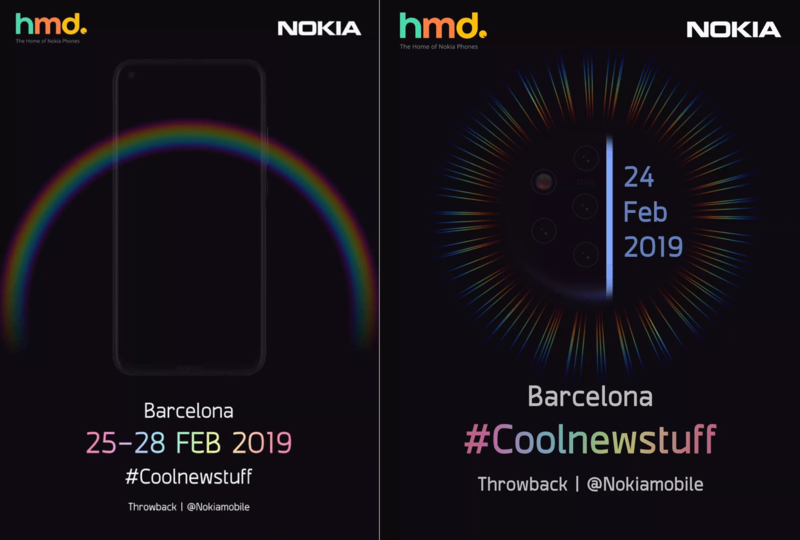 HMD started sending MWC teasers/invites for their February 24th event in Barcelona. A day before MWC’s start, the Nokia phones maker will hold an launch event for new devices. Based on the sent invitations, we can see a device with a punch-hole display being teased (will probably be called Nokia 6.2) and the penta-lens camera of the rumored Nokia 9 PureView being teased. The teaser follows the hashtag #Coolnewstuff. Details about the time or location of the launch event will be shared in the near future.